Why do hands need special care? Our hands are nearly as sensitive as our facial skin, but they have to endure a lot more stress throughout the day. Besides our daily manual tasks, external factors such as sunlight, cold, heat and water put a strain on the natural protective barrier of the skin. 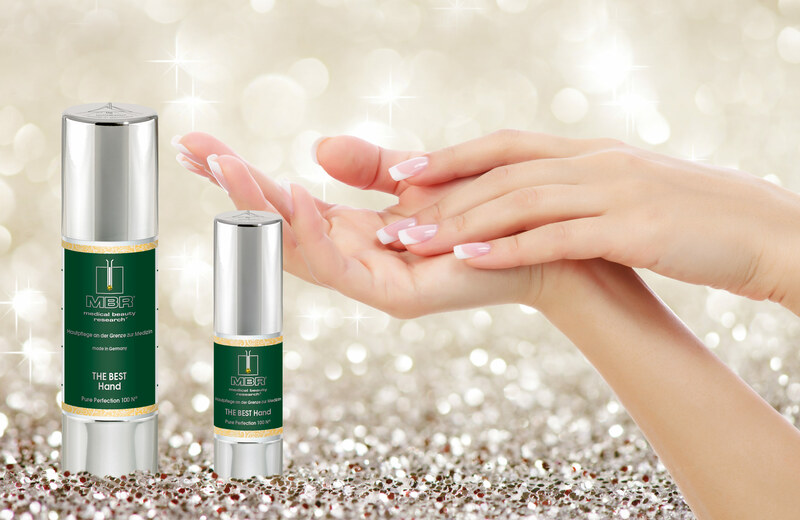 The right skincare product provides your hands with ample moisture to prevent dryness – for an attractive, well-groomed appearance. Pure Perfection 100 N® THE BEST with the MBR® FibroBoost Complex, developed specially for MBS, expands its product range with a high-quality hand cream. On top of outstanding skincare, it also offers powerful protection from infrared and ultraviolet light. This extraordinarily potent, targeted skincare cream for the hands penetrates the deeper layers of the skin, protecting it from infrared, UVA and UVB rays. Its combination of highly efficient active ingredients protects and intensely nurtures your skin while reducing pigmentation and age spots.